4. Support the number of dairy farms in the state. America’s dairy industry is more than milk. It’s jobs and economic activity for the people of our country. North Carolina’s dairy industry has been identified by the NC General Assembly as a vital component to the state’s economy, maintaining green space and our future quality of life. The NC Dairy Advantage Strategic Plan is a practical and feasible approach to protect and grow the industry by strengthening the cooperative relationships and refocusing resources to reverse current industry trends and create a bright future for the dairy industry in North Carolina. The NC Dairy Advantage program goals are reachable, and the strategies and activities are attainable. North Carolina is a state where opportunity abounds, and the committee believes that the future of the dairy industry in the state can be promising. For the state’s dairy industry to stabilize and grow, all segments of our dairy industry must work together. Since NC Dairy Advantage launched its programs in 2009, NC milk production has increased over 14%. Cow numbers and milk production per cow have also increased. Overall, NC dairies have shown consistent growth while dairies in other states have been declining. 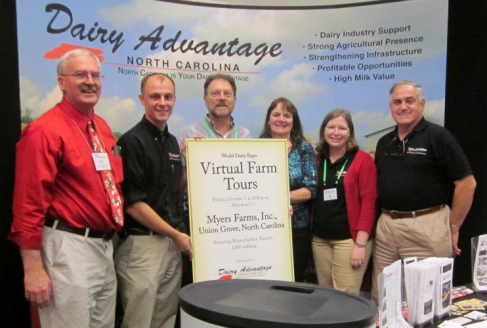 Check out our programs and resources to learn what makes North Carolina dairies great! Shannon grew up in Memphis, TN and went to the University of Kentucky where she was very active in the UK Dairy Club and earned a BS in Animal Science in 1998. After graduating from UK, she came to NC State University as a graduate student under Dr. Brinton Hopkins and Dr. Lon Whitlow and earned a MS in Nutrition in 2001 and a PhD in Nutrition in 2006. Her research projects investigated ways to improve lactation performance and nitrogen efficiency by feeding different qualities and quantities of protein including specific amino acids and vitamins, such as lysine, methionine, choline and betaine. During her course of studies at NCSU she was very involved with all of the Dairy research being conducted by Dr. Hopkins and Dr. Whitlow and has first-hand experience in research with calf and heifer rearing strategies as well as mycotoxin effects and potential treatments. Shannon worked as an independent consultant for several dairy feed companies between graduating from NCSU and starting her work as an Extension Associate in the Department of Animal Science and for the NC Cooperative Extension Service in 2009. Shannon enjoys providing support, especially in the areas of dairy cattle nutrition and management, for dairies in North Carolina and working with the NC Dairy Advantage Program. She is excited to continue developing programs designed to help NC dairy farmers and to continue growing the NC dairy industry. Brittany grew up near Brevard, NC, on a farm that has been in her family for over 150 years. She graduated from UNC in 2003, with a major in Economics and a minor in Chemistry. 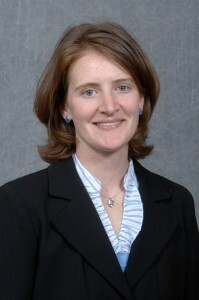 She later received her Master of Public Administration from the UNC School of Government in 2006 and was awarded the Nanette Mengel Capstone Communications Award for her work on farm succession planning. Before joining the Dairy Advantage Team, Brittany coordinated the N.C. Value-Added Cost Share Program, which provided financial assistance for business planning, feasibility assessment, grant writing, and specialized processing/packaging equipment for value-added agricultural enterprises. Brittany and her husband operate a livestock enterprise and direct market their beef, turkey, and honey in western North Carolina; they also help her father with his dairy heifer replacement operation. Understanding both the joys and discomforts of agriculture, as E.M. Tiffany references in the FFA Creed, allows Brittany to relate to farm operators on a first-hand basis. She looks forward to working with the Dairy Advantage Team and the Agricultural & Resource Economics Department at NCSU in serving her home state’s dairy industry.